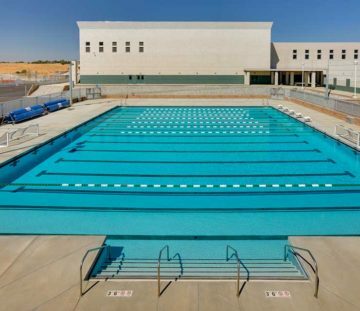 Ban­ning High School’s new 25-yard x 30-meter pool is ide­al for high school com­pe­ti­tion. The pool fea­tures a can­tilever-style con­tin­u­ous gut­ter and steps at the shal­low end for P.E. 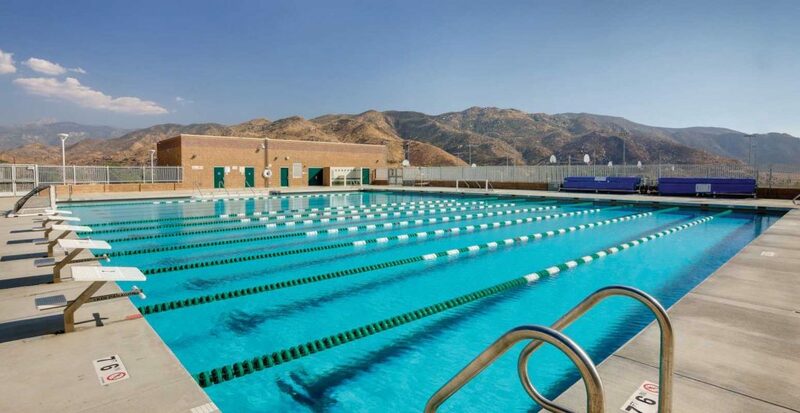 and learn-to-swim pro­grams. As part of the project, Arch Pac designed the new foot­ball, base­ball, and soc­cer fields as well as the relat­ed land­scape archi­tec­ture.